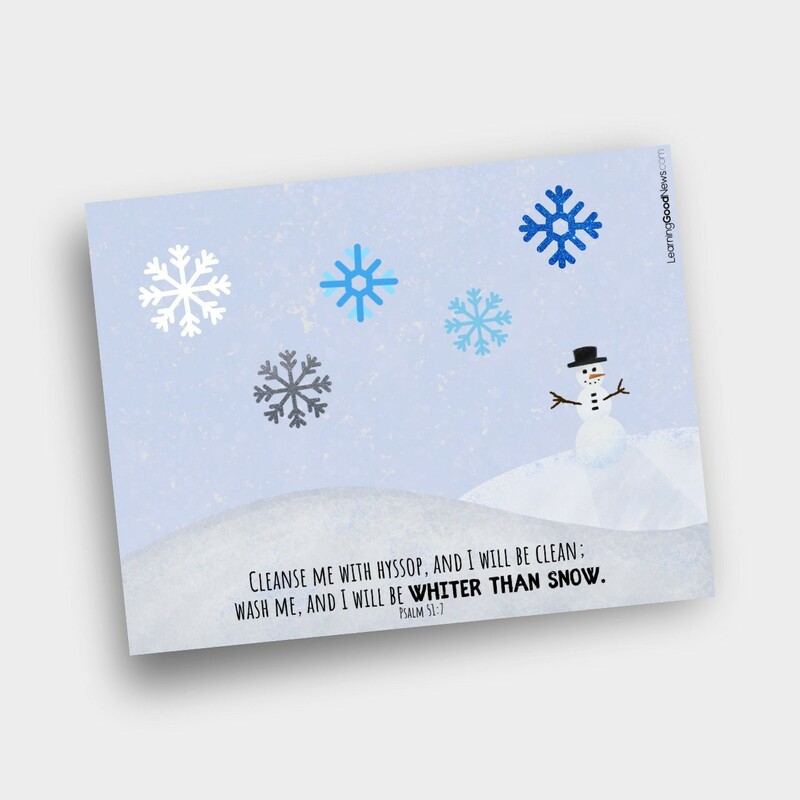 Check out this Whiter than Snow craft page. Just add snowflake or snowman stickers to decorate it. You can also laminate the page and make a playdough mat; just add white playdough to make snowflakes or snowmen. The craft page features Psalm 51:7.